Carotino is a subsidiary of the JC Chang group of companies and is a fully integrated RSPO (Roundtable for Sustainable Palm Oil) certified company from plantation to the finished product and we are committed to maintaining the highest international standards in every aspect of our business. We are dedicated to maintaining and extending our leading position in the research, development and manufacturing of palm oil products by using the latest environmentally friendly, state-of-the-art technology. The customer is at the heart of everything we do and the Carotino Group is committed to developing new products which meet the needs of global customers. 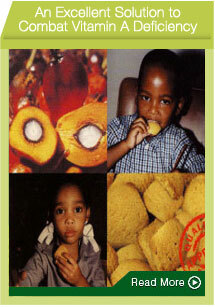 To grow into a multi-national company dealing in value added food, oleo-chemical, neutraceutical, pharmaceutical and environment friendly fuels derived from Oil Palm.